A Special event that will showcase The Performing Arts Academy's talent. A recital and celebration of excellence in music. Learn simple music concepts through singing, creative movement and games & activities. Children will get hands on fun with the drum set, piano, guitar, recorder and a variety of hand-held percussion instruments. 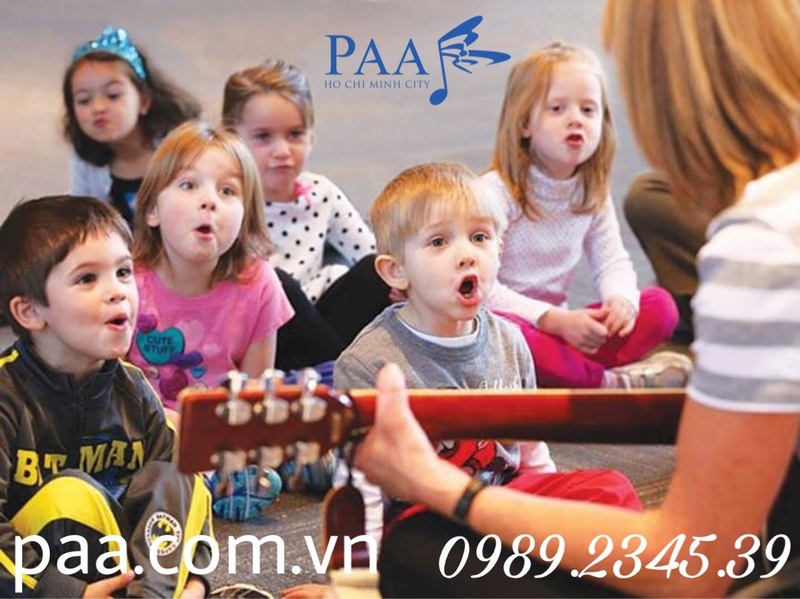 The Performing Arts Academy of Ho Chi Minh City (PAA) was established in September of 2009. Since opening, the PAA has experienced rapid success, escalating from only a handful, to nearly 150 private and group class children, teenage and adult students from a medley of backgrounds, and is well on the way to bringing its vision of becoming a respected leader in performing arts education and performance to fruition. Educate and encourage aspiring and capable individuals to achieve their goals and dreams in all areas of the performing arts. Professional teaching, build confidence, skills, and real-world experience and recognition. Delivering both performance-based and evaluation-based results of student achievements. 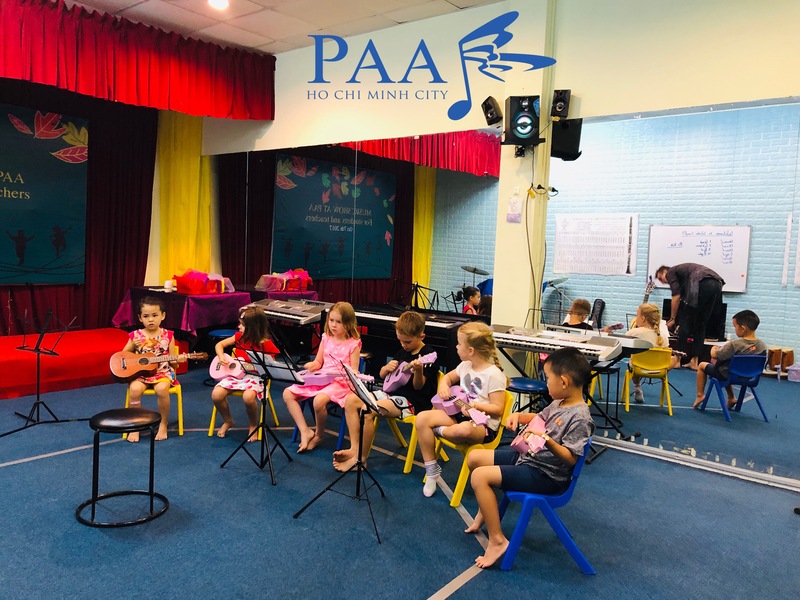 We also carefully structure our programs to insure that all games, activities and exercises follow top existing curriculums and also adhere to the National Standards of Music Education to achieve solid foundations for later musical development. - Younger students will gain ablities, physical development & other positive effects through musical activities. 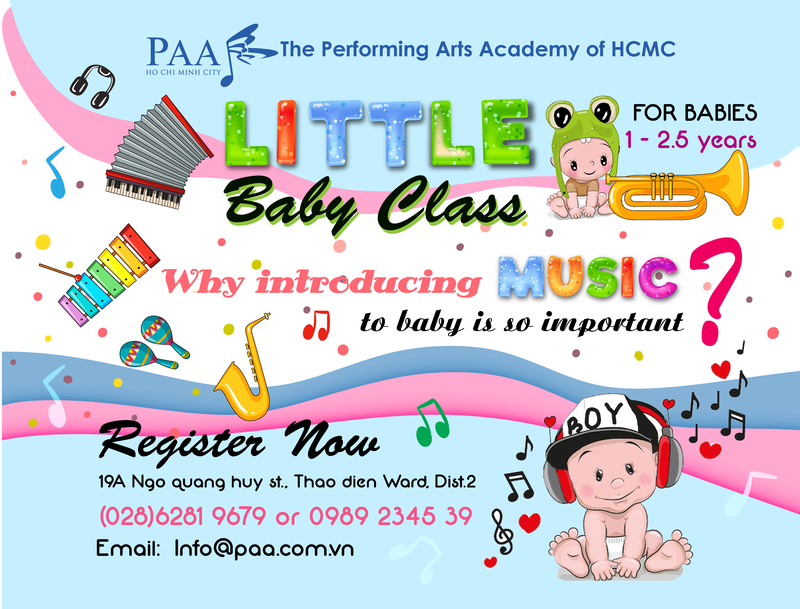 - Baby class provides fun activities & musical programs designed to bring a new experience for Parents and baby each week. - You will be amazed at how your babies will develop their musical understanding & how they will begin to respond to music after each class. Your children will learn about musical rhythms, dynamics, beat of the song in very fun way. Students who are working towards the assessment of their abilities can be put on a specific curriculum of the Associated Board of the Royal Schools of Music. 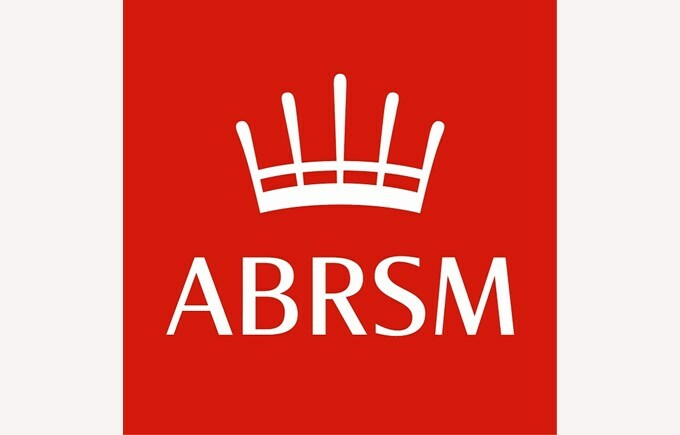 The Examiners for ABRSM come to HCMC twice a year to administer a written test and a playing performance test. Let us know when registering if you are interested in being put on course for the exams. When learning to play the piano in a group, students get comfortable playing in front of other people (in addition to their teacher). Doing so helps them to build self-confidence and makes it easier to transition into playing in front of an audience outside of the group. When learning a new skill one-on-one, students often feel nervous which can hinder their learning process. The group dynamic helps to alleviate that stress. By having the teachers’ focus divided amongst students, it creates a more relaxed environment with less direct pressure. Learning in a group creates the opportunity for students to meet new friends who share a common interest. Lastly, in a group lesson, the teacher can facilitate team activities that require all participants to work together. These can include each group member playing a piece of one song, playing games, critiquing each other, and more. As a result, the group members reinforce and support each other’s learning. 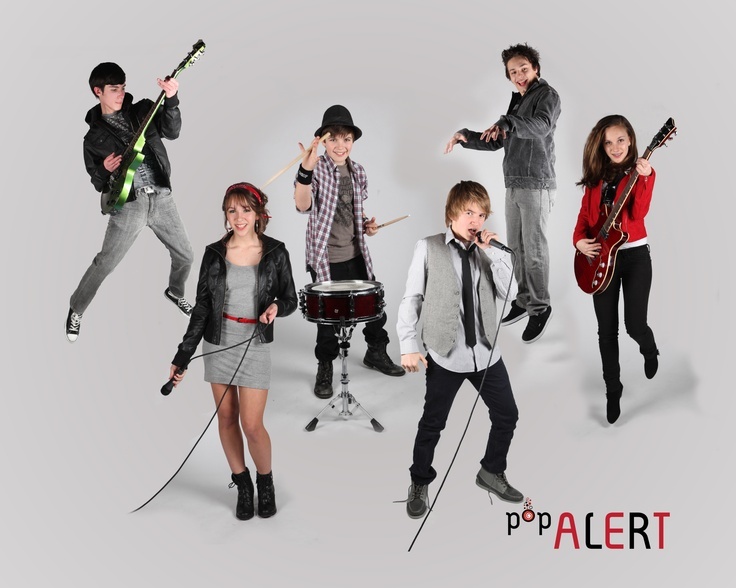 If you’ve alway want to join a band and get exposure in a “live” setting, but you don’t know to get it started, then ore Pop/Rock Band course is for you. The course is connect you with other musicans who are looking to play together and gig as the band. 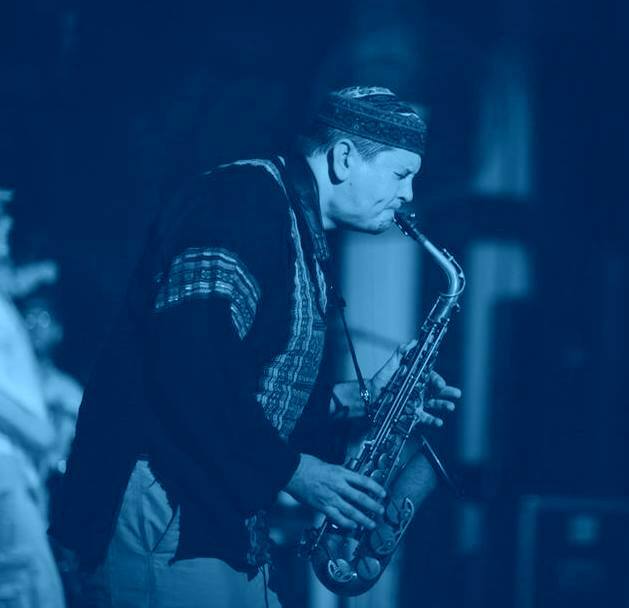 This course will include a maximum of 5 participants, namely a drummer, bassist, guitarist, keyboardist and vocalist/melodic instrument (Sax, Trumpet, Violin, etc). 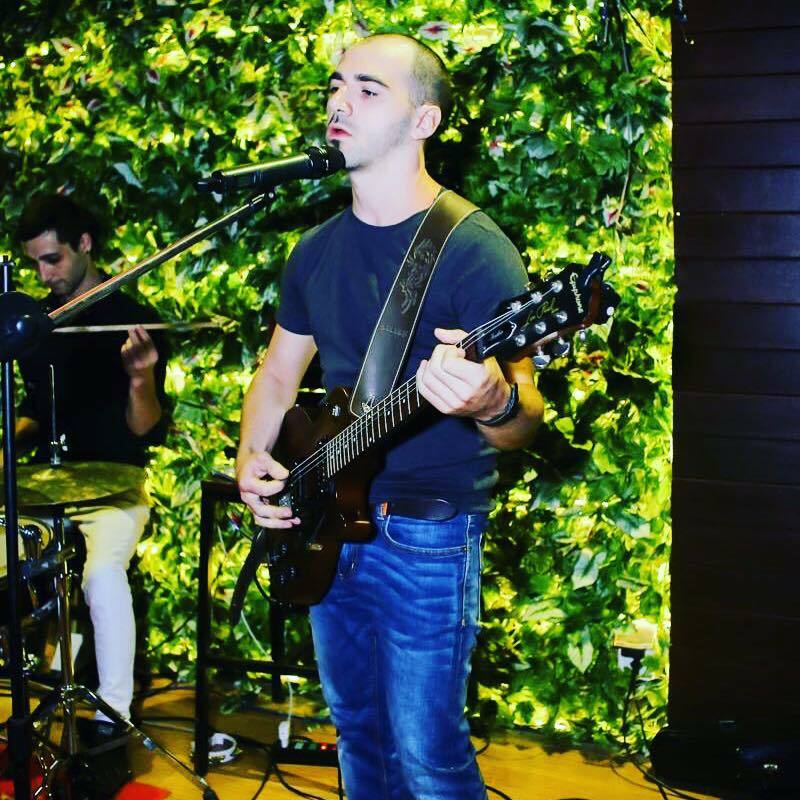 The band will be supervised and be guided by a professional in their performance areas as a unit, to achieve the desire sound of an authentic pop-rock band. Course Content •	Development of repertoires for stage use. •	Musicianship training in Groove and Dynamics. •	Reading simple arrangements and chord grogressions. •	Development of active listening and musical awareness. •	Performance techniques and mechanics for attaining a satisfying sound. •	Effective practice strategies for competitions and performances. Children will become familiar with the names and sound of orchestra instruments. They will learn to understand pitch notation and how to count and play simple rhythms. 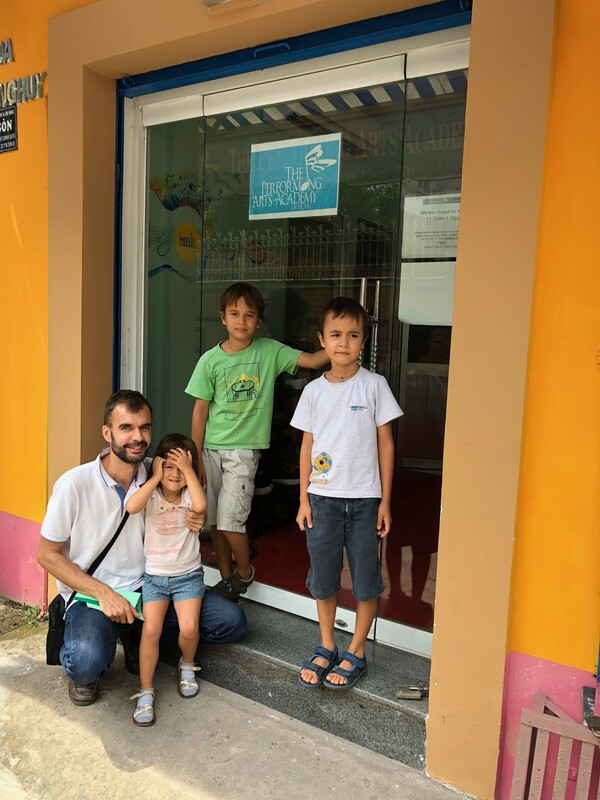 They will get to play on the drum set, piano, guitar and recorder while learning the basics of each through engaging games and activities with a professional musician and also get to see live performances by our staff. This will help your child decide what instrument best suits them and provides the fundamentals and foundation prior to private study. The fee is $20/lesson. 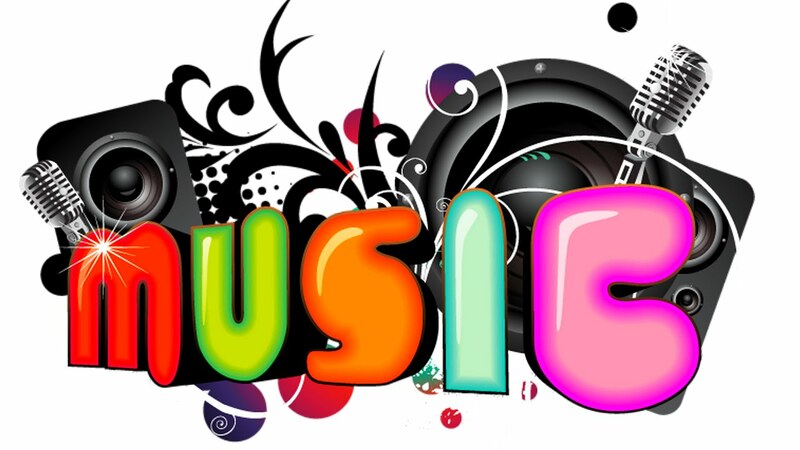 WHAT DOES MUSIC GIVE TO YOU? Choosing the subject and how learning is always a subject of much debate in each family. Many programs for children and sports activities such as football, volleyball, swimming .. all aim to develop children. But we forget about what makes a child's soul, that is music. You have difficulty in how your child can grow healthy, active, have reason and deep thinking as scientists around the world. How to write meaningful words when children do not know how to hold the pen. That's why experts encourage parents let to listening to music while the babe in the womb. Finger power and ingenuity are the first steps for a child to access the music by touching, hearing, making children think logically, knowingly organizing the music, making music a child. Romantic, meticulous but still very strong in everything. 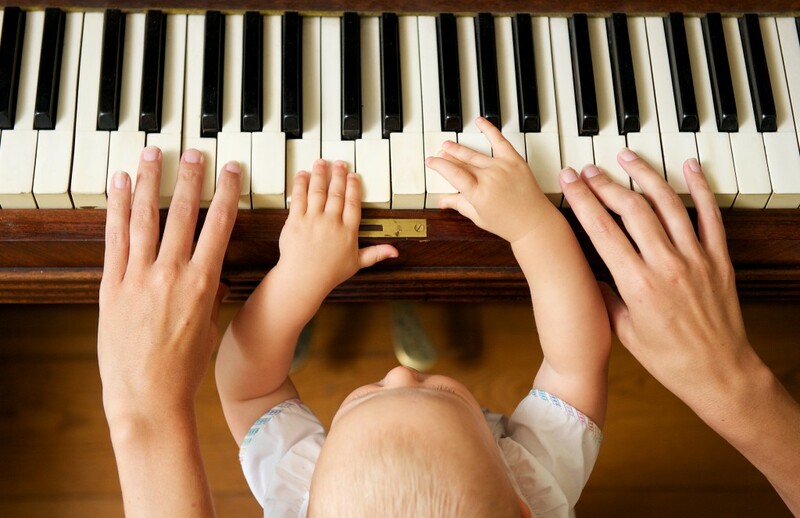 Parents' time is not enough to be able to do the same things with their children, music is the most effective medicine so that babies can be easily absorbed and socialized. .
WHY DO WE NEED TO LEARN PIANO? Many parents ask: “At what age can our children start piano?”, while older beginners ask: “Am I too old to learn piano? How proficient can I expect to be? How long will it take?” We are increasingly beginning to recognize that what we had attributed to “talent” was in reality a result of our education. 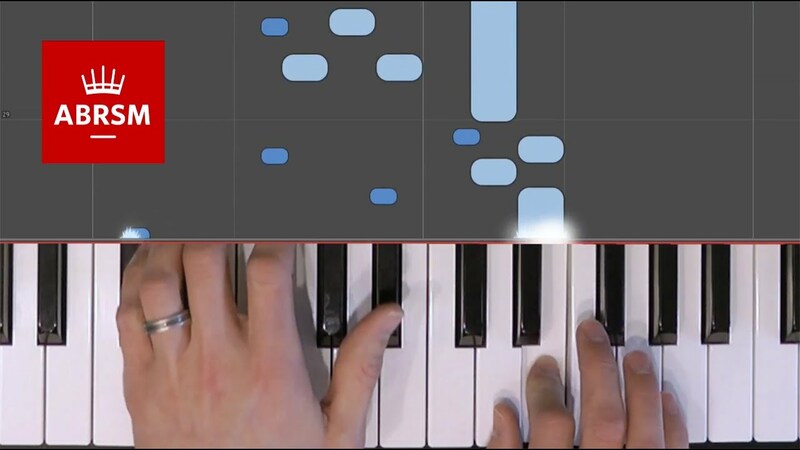 This relatively recent “discovery” is radically changing the landscape of piano pedagogy. Therefore, we can legitimately question whether talent is such an important factor in how quickly you can learn to play. So then, what IS an important factor? 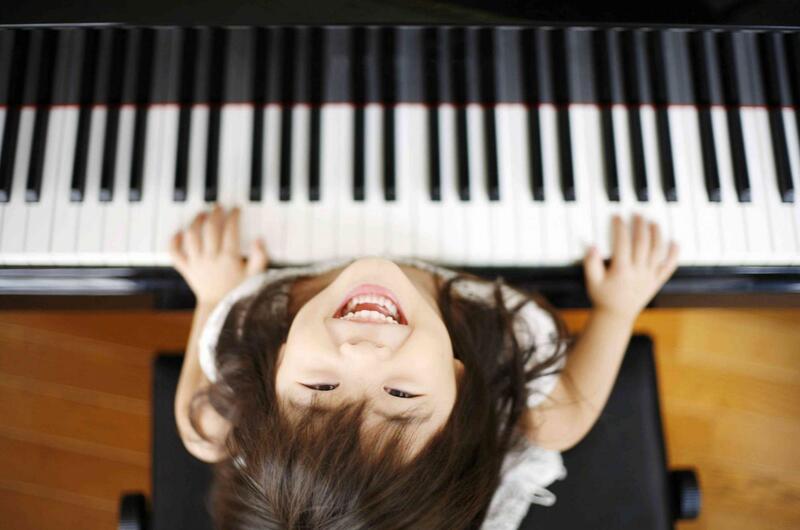 Age is one, because learning piano is a process of developing nerve cells, especially in the brain. The process of nerve growth slows down with age. So let’s examine categories of beginners according to their ages, and the consequences of slowing cell growth with age. Ages 0-6: Babies can hear as soon as they are born, and most maternity wards test babies for hearing immediately after birth. Brains of deaf babies develop slowly because of a lack of auditory stimuli, and such babies need to have their auditory stimuli restored (if possible) or have other procedures instituted, in order to encourage normal brain development. Thus early musical stimuli will accelerate brain development in normal babies, not only for music but also generally. By the age of 6-10 months, most babies have heard enough sounds and languages to stimulate sufficient brain development to start talking. They can cry and communicate to us within minutes after birth. Music can provide additional stimulation to give babies a tremendous head start in brain development by one year after birth. All parents should have a good collection of piano music, orchestral music, piano and violin concertos, operas, etc., and play them in the baby room, or somewhere in the house where the baby can still hear the music. Many parents whisper and walk softly while the baby is asleep, but this is bad training. Babies can be trained to sleep in a (normal) noisy environment, and this is the healthy alternative. Up to about age 6, they acquire new skills in stepwise fashion; that is, they suddenly acquire a new skill such as walking and rapidly become good at it. But each individual acquires these skills at different times and in a different order. Most parents make the mistake of giving the baby only baby music. Remember: no babies ever composed baby music; adults did – baby music only slows down brain development. It is not a good idea to expose them to loud trumpets and drum rolls that can startle the baby, but babies can understand Bach, Beethoven, Chopin, etc. Music is an acquired taste; therefore, how the babies’ brains develop musically will depend on the type of music they hear. Older classical music contain more basic chord structures and harmonies that are naturally recognized by the brain. Then more complex chords and dissonances were added later on as we became accustomed to them over the ages. Therefore, the older classical music is more appropriate for babies because they contain more stimulative logic and less dissonances and stresses introduced later to reflect on “modern civilization”. Piano music is especially appropriate because, if they eventually take piano lessons, they will have a higher level of understanding of music they heard as a baby. Ages 3-12: Below age 3, most children’s hands are too small to play the piano, the fingers cannot bend or move independently, and the brain and body (vocal chords, muscles, etc.) may not be sufficiently developed to deal with concepts in music. Above age 4 (2 for those with early training), most children are ready to receive music education, especially if they had been exposed to music since birth; thus they should be constantly tested for their sense of pitch (relative and absolute pitch; can they “carry a tune?”), rhythm, loud-soft, fast-slow, and reading music, which is easier than any alphabet. This group can take advantage of the enormous brain growth that takes place during this age interval; learning is effortless and limited more by the ability of the teacher to provide the appropriate material than by the student’s ability to absorb it. One remarkable aspect of this age group (there are many!) is their “malleability”; their “talents” can be molded. Thus, even if they would not have become musicians if left alone, they can be made into musicians by proper training. This is the ideal age group for starting piano. Mental play is nothing special – it comes naturally to this age group. Many adults consider mental play a rare skill because, like absolute pitch, they lost it during their teen ages from a lack of use. Therefore, make sure that they are taught mental play, in all its many forms. They can also quickly forget what they learn. Ages 13-19: This group still has an excellent chance of becoming concert level pianists. However, they may have lost the chance to become those super stars that the younger beginners can become. Although brain development has slowed down, the body is still growing rapidly until about age 16, and at a slower rate thereafter. This age group can achieve practically anything they want to, as long as they have an intense interest in music or piano. However, they are not malleable any more; encouraging them to learn piano does not work if they are more interested in cello or soccer, and the parents’ role changes from giving direction to giving support for whatever the teens want to do. This is the age interval in which the teens learn what it means to take responsibility and what it means to become an adult – all lessons that can be learned from the piano experience. In order to influence them, you need to use more advanced methods, such as logic, knowledge, and psychology. They will probably never forget anything they memorized at these ages or slightly younger, unlike the 3-12 group. Above this age group, age classifications become difficult because there is so much variation among individuals. Ages 20-35: Some individuals in this age group still have a chance of becoming concert level pianists. They can use the experience they learned in life to acquire piano skills more efficiently than younger students. Those who decide to learn piano in this age group generally have greater motivation and a clearer understanding of what they want. But they will have to work very hard, because progress will come only after a sufficient amount of work. At this age group, nervousness can start to become a major problem for some. Although younger students can become nervous, nervousness seems to increase with age. This happens because severe nervousness arises from fear of failure, and fear arises from mental associations with memories of terrible events, whether imagined or real. These terrifying memories/ideas tend to accumulate with age. Therefore, if you want to perform, you should do some research into controlling nervousness, by becoming more confident, or by practicing public performance at every opportunity, acquiring mental play, etc. Nervousness can arise from both the conscious and subconscious brain; therefore, you will need to deal with both in order to learn to control it. For those who just want to become sufficiently technically proficient to enjoy playing major piano compositions, starting in this age group should not present any problems. Although some maintenance will be required, you can keep anything you memorized in this age group, for life. Ages 35-45: This age group cannot develop into concert level pianists, but can still perform adequately for simpler material such as easy classics and cocktail music (fake books, jazz). They can acquire enough skill to play most famous compositions for personal enjoyment and informal performances. The most demanding material will probably be out of reach. Nervousness reaches a maximum somewhere between the ages of 40 and 60 and then often declines slowly. This might explain why many famous pianists stopped performing somewhere in this age interval. Memorizing starts to become a problem in the sense that, although it is possible to memorize practically anything, you will tend to forget it, almost completely, if not properly maintained. Reading the music can start to become a problem for some who require strong corrective lenses. This is because the distance from the eyes to the keyboard or music stand is intermediate between reading and distant vision. Thus you may want a set of eye glasses for intermediate vision. Progressive lenses might solve this problem, but some find them bothersome because of their small field of focus. Ages 45-65: This is the age range in which, depending on the person, there will be increasing limitations on what you can learn to play. You can probably get up to the level of the Beethoven Sonatas, although the most difficult ones will be a huge challenge that will take many years to learn. Acquiring a sufficiently large repertoire will be difficult, and at any time, you will be able to perform only a few pieces. But for personal enjoyment, there is still a limitless number of compositions that you can play. Because there are more wonderful compositions to learn than you have time to learn them, you may not necessarily feel a limit to what you can play. There is still no major problems in learning new pieces, but they will require constant maintenance if you want to keep them in your repertoire. This will greatly limit your playable repertoire, because as you learn new pieces, you will completely forget the old ones, unless you had learned them at much younger ages. In addition, your learning rate will definitely start to slow down. By re-memorizing and re-forgetting several times, you can still memorize a significant amount of material. It is best to concentrate on a few pieces and learn to play them well. There is little time for beginner’s books and exercises – these are not harmful, but you should start learning pieces you want to play within a few months after starting lessons. 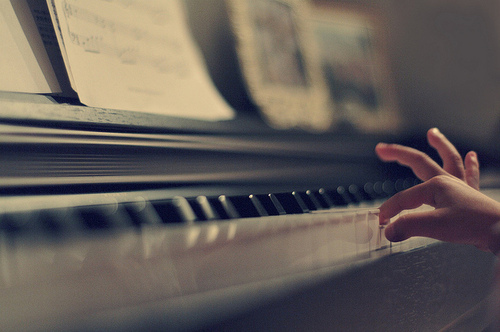 Ages 65+: There is no reason why you can’t start learning piano at any age. Those who start at these ages are realistic about what they can learn to play and generally do not have unattainable expectations. There are plenty of simple but wonderful music to play and the joy of playing remains as high as at younger ages. As long as you are not terribly handicapped, you can learn piano and make satisfactory progress at any age. Memorizing a composition is not a problem for most. The greatest difficulty in memorizing will come from the fact that it will take you a long time to get up to speed for difficult material, and memorizing slow play is the most difficult memory work. Therefore, if you choose easy pieces that can be brought up to speed quickly, you will memorize those more quickly. Stretching the hands to reach wide chords or arpeggios, and fast runs will become more difficult, and relaxation will also be more difficult. If you concentrate on one composition at a time, you can always have one or two compositions that can be performed. There is no reason to modify your practice methods – they are the same as those used for the youngsters. And you may not feel as much nervousness as you might have in the middle ages when stage fright reaches is maximum. 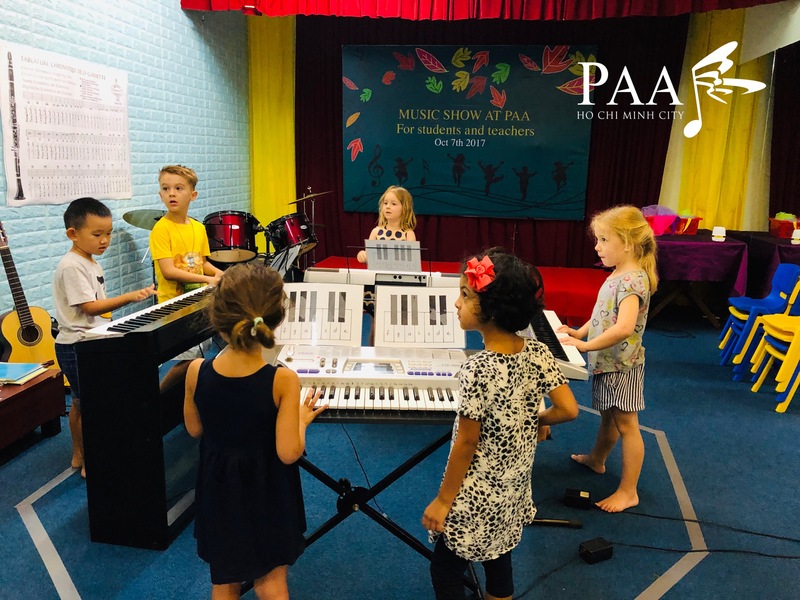 Learning piano, especially memory work, is one of the best exercises for the brain; therefore, serious efforts at learning piano should delay the aging process, just as proper exercise is necessary to maintain physical health. Don’t get a teacher that treats you like a young beginner and give you only exercises and drills – you don’t have time for that. Start playing music right away. The performances of paa school students are held annually. This is a playground and also a chance for children to show their talents. 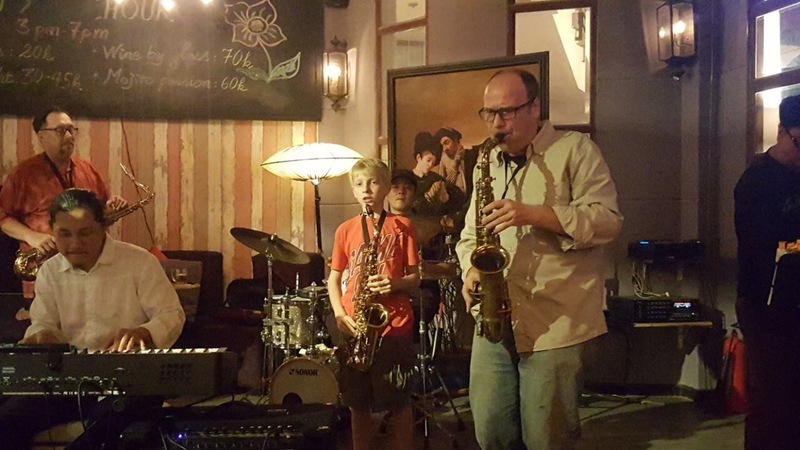 With performances such as Saxophone, guitar, drum, piano ... presented by students at Paa will bring a great music for everyone. From the program, we would like to share the skills, knowledge and passion of music to everyone. WHY SHOULD WE LEARN ABRSM PROGRAM? We open group class below: - Tiny Tots: open Tuesday, 8th January and Friday 11st January, 4.00 - 4.45pm or Saturday 8.15- 9.00 am - Little Mozarts (Piano group): Tuesday 15th January (3.15 - 4.00pm). Wednesday, 9th January (3.15 - 4.00 pm). Friday, 11th January (5.00 - 5.45 pm). - Baby Class: Monday, 7th January 9.00 - 9.45am Please contact to get space and more information. This is the ultimate study music playlist for concentrating, focusing, and thinking. This is a collection of almost all the piano music for studying to help concentration and focus I have written so far. The playlist include study music that I have composed since 2010-2014. This is 4 years in the making. As many of you know, I have also been in medical school for the last 4 years as well. Thus, as I listen to this playlist, I see my experiences, studies, cramming time, tests and exam anxieties, all-nighters, etc. all flash before my eyes. For those of you who have been following me through this journey and have kept up with this channel, I would love to hear stories of what these pieces trigger in your memories. What can we help children to find out the best ways to learn Piano? Let's join with our group class to be one of them. Time: every Tuesday and Friday, from 5.00 - 5.45pm. 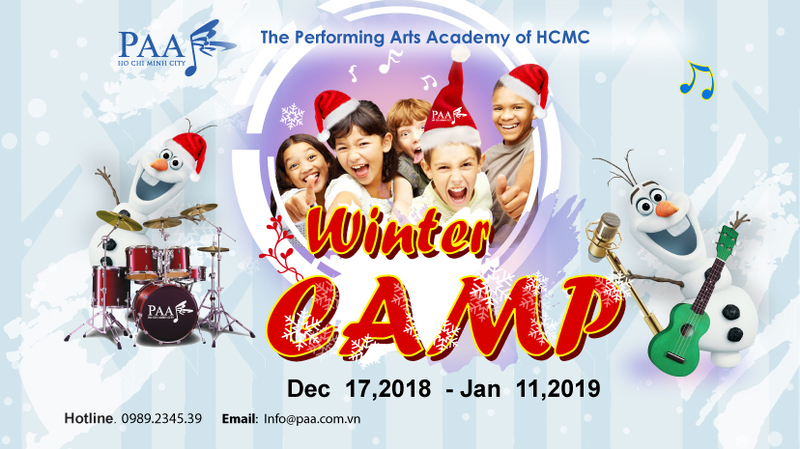 Children will get to play on the drum set, piano, guitar and recorder while learning the basics of each through engaging games and activities. 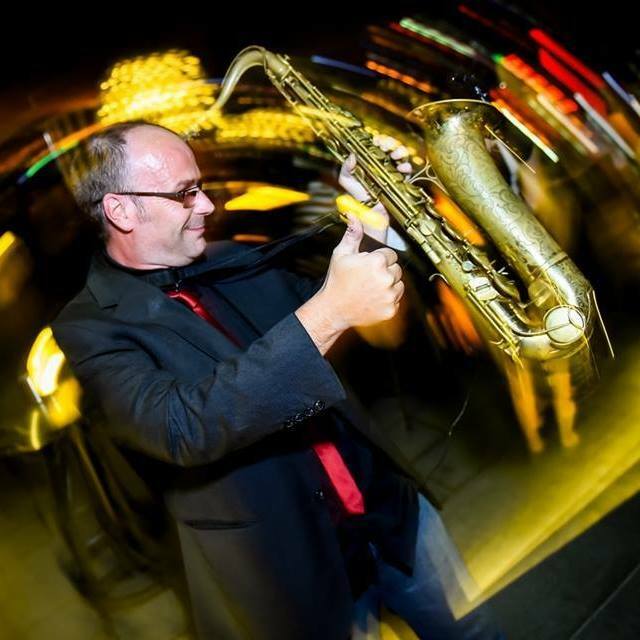 Aaron Wilson is an American jazz saxophonist. Performing music around the globe for the past 15th years. 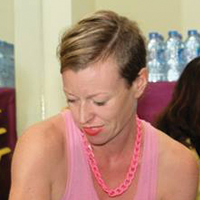 As a co-founder and current director of The Performing Arts Academy of HCMC. 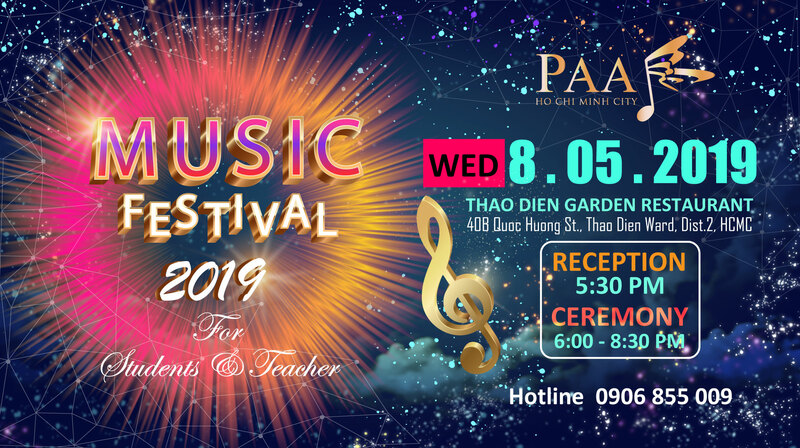 He has been teaching Piano at The Performing Arts Academy of HCMC. 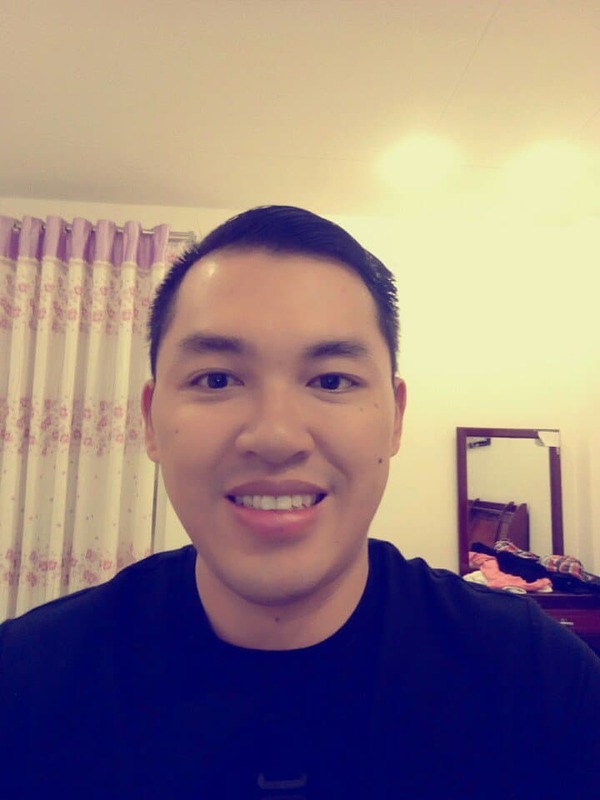 He has bachelor in Piano performance and education and 10 years teaching piano for children & adults with all level. Maikel Martinez Vega Cuban drummer, graduated from the Superior Institute of Music of Cuba (ISA) as a trumpeter and teacher of music. He began his career as a professional musician working as a musician in different popular bands in Cuba. Working also during that time like professor of Percussion & Drums in the School of Elemental Music. 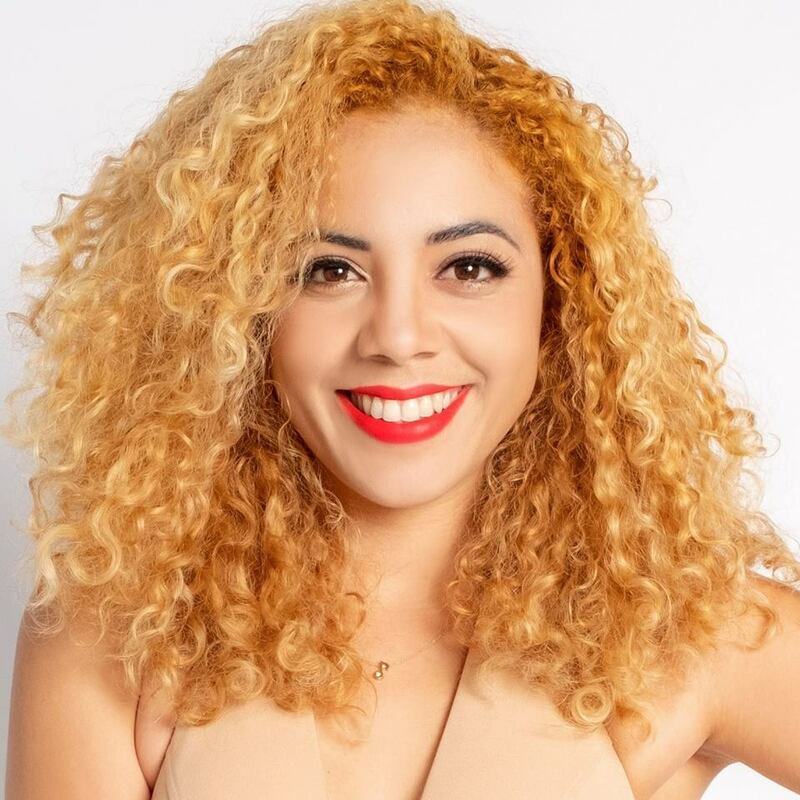 Irian Flores Leyva Cuban singer, graduated from the Superior Institute of Music of Cuba (ISA) as a Vocal and teacher of music. 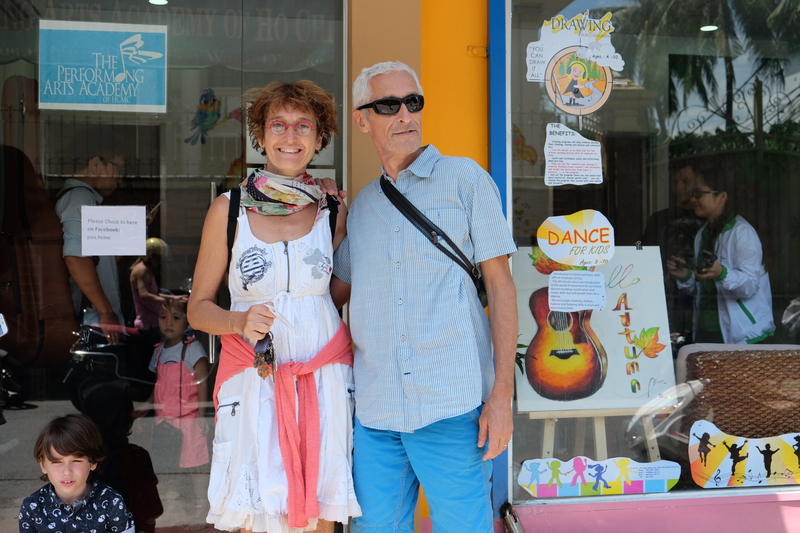 She began his career as a professional musician working as a musician in different popular bands in Cuba. Working also during that time like professor of singing & Piano in the School of Elemental Music. She had the opportunity to travel to Vietnam. 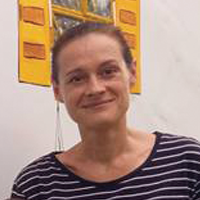 She had the opportunity to work in several countries like Vietnam, Cambodia and Singapore. Electronic Guitar, Drums & Music theory. 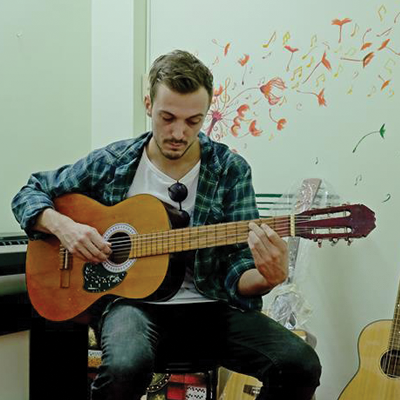 Nick Simon is an English multi instrumentalist and music teacher who specializes in Guitar (Electronic Guitar), Drums & music theory. He had been in the U.K Band and in Vietnam. He often performs professionally throughout the city. He has been teaching at PAA since 2013. Joel Rodríguez Esquijarrosa Cuban trumpeter, graduated from the Superior Institute of Music of Cuba (ISA) as a trumpeter and teacher of music. He began his career as a professional musician working as a musician in different popular bands in Cuba. Working also during that time like professor of trumpet & Piano in the School of Elemental Music. He had the opportunity to travel to Vietnam to join Warapo Band. A very popular Cuban band in Cuba and Vietnam, here he had the opportunity to work in several countries like Vietnam, Cambodia and Singapore. His band began working at Caravelle Hotel in HMC Vietnam, where he played trumpet, keyboard, singing, dancing and also directing the band. Languages: English, Spanish. 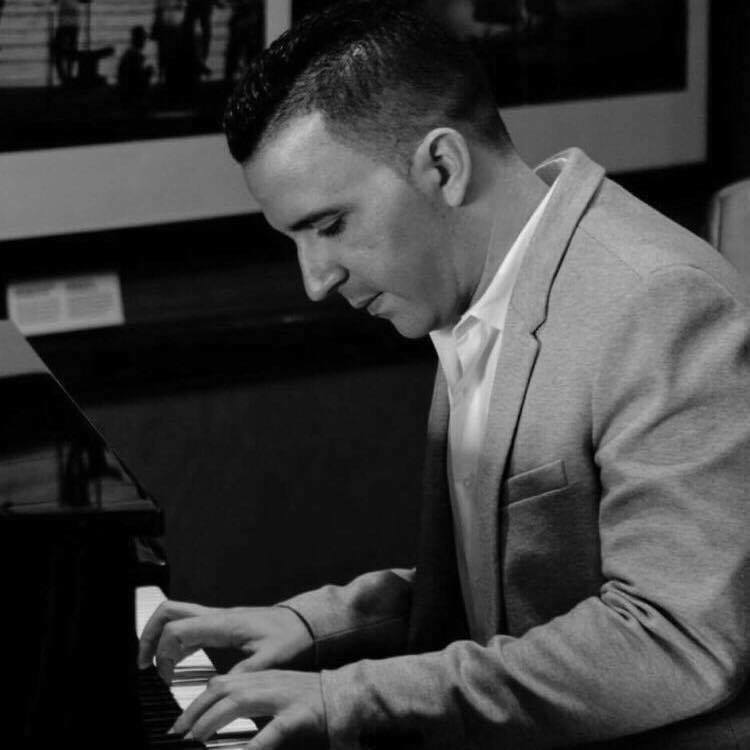 Antonio Padiglia has over 15 years of experience in live music. He got a degree in Music at Middlesex University, wrote music professionally for tv broadcasters, trailers and videogames. 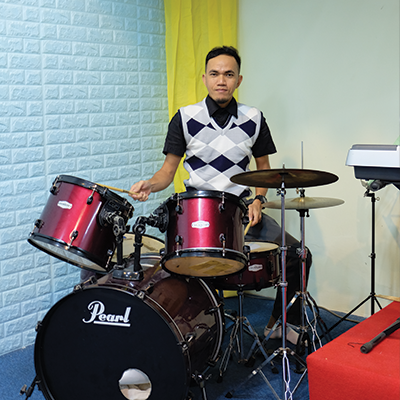 He has been teaching Guitar, Bass, Drums at The Performing Arts Academy of HCMC. 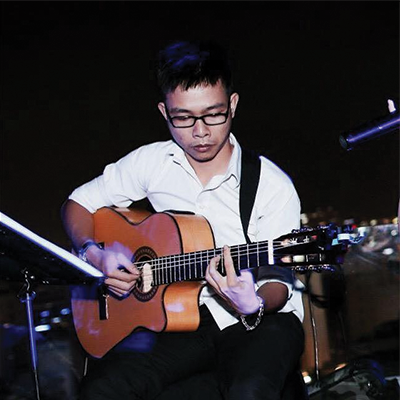 He has experienced guitar teacher long time in music school with long history of musical teaching and study. Practised guitar player and musical composer. He has played in bands and solo, professionally and for fun. 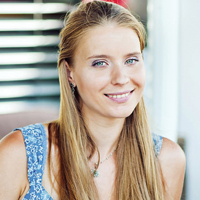 Skilled at teaching to absolute beginners and have trained students to professional standards. He can teach many style as Blues, Rock, Classic, finger picking style. Giorgio Ventura is an Italian musician. 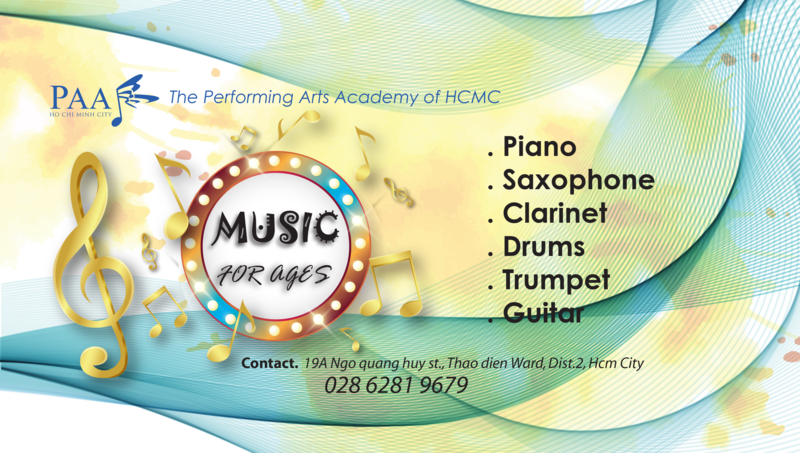 He has been teaching Saxophone, Flute, Clarinet at The Performing Arts Academy of HCMC. Great programs for my children. Teachers are fun and engaging and they offered ABRSM for the practical and theory. My kids have improved so much! Copyright © 2010 Performing Arts Academy of Ho Chi Minh City. All rights reserved.